"Shortly after I moved to Nairobi, Kenya two years ago, a friend introduced me to Kibera Hamlets School in Kibera slum. 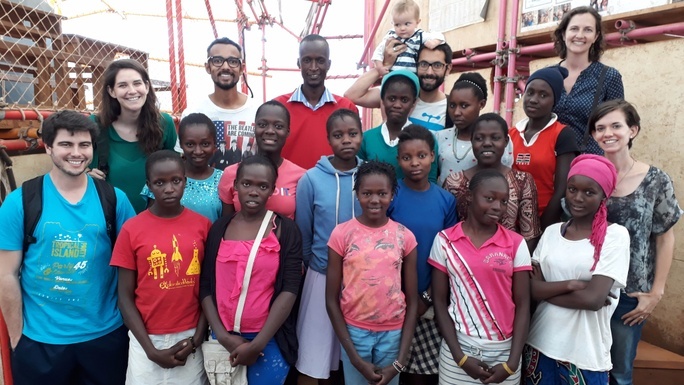 I was immediately drawn to their work because the school was started by young adults from the community who deeply understand the challenges of growing up in the slum. At the time, the school did not have text books or running water, but what they identified as a top concern was that female graduates of their primary school often were not able to continue their education due to lack of school fees, family pressures to start working as teenagers, early pregnancies, sexual assault, or drug abuse inside the slum. The founders asked if I could help them raise school fees for these girls to attend a low-cost boarding school in rural Western Kenya, to allow them to focus on their studies away from the risks of Kibera slum. I was inspired to take on this task, since I saw how one person’s donation of just $415 per year could literally change a young woman’s life. Previously, I often felt that it was hard to genuinely make a difference, but I saw that this was a rare opportunity where mobilizing my community could l make all the difference in the world. I ran my first crowdfunding campaign in 2015 on the Chuffed site. Although I set a goal of $6,500, I received an overwhelmingly positive response from my friends and family as well as strangers on the Chuffed site and raised over $10,000! This year, I have partnered with Kibera Hamlets USA, a non-profit organization set up to support the school, to expand the scholarship program to 36 girls.